Attendees would sacrifice nothing for the pleasure of holding their event at this extraordinary place.The beauty and significance of WinMock’s design led to its listing as a National Historic Site, and earned an individual listing on the United States National Register of Historic Places — a designation held by less than 10% of all properties on the Register. Combine that with the considered renovations of veteran event planners, and you’re looking at one of the most capable and exquisite event venues in the American South. Today WinMock at Kinderton hosts corporate conferences, social events and weddings throughout the year. Its experienced staff is grouped into teams dedicated to specific types of events. You can meet them here. In 2010, Sterling Events Group took ownership of a vacant farm and launched an extensive restoration plan to breathe new life into the property. Prior to the purchase, Sterling had built a strong reputation in the global events industry. The company had planned and produced conferences and gatherings of all kinds, all over the world. Founder Wayne Thomas and his team had become masters at finding fascinating venues at which to hold events — from Scottish castles to isolated Alpine villas. The events staged in these unusual places were memorable, but the Sterling team regretted one common shortcoming: it seemed the more interesting the property was, the less likely it would be to have the technology expected by attendees at modern conferences. When Sterling discovered WinMock at Kinderton, they committed themselves to restoring the finely crafted buildings while installing the most advanced technical infrastructure. recognized an opportunity to create a place that brought together the best of what he had seen in his travels. From this vision, a truly unique and historical venue was born in the American South. Wayne then brought the perfect team on board to make it work. The result is Carolina’s most unique event venue with an experienced event industry veteran at its helm. WinMock an exceptional resource for brides on their special day. Rebecca sees her role as totally different than merely taking reservations for events at WinMock. To hear her on a tour is to hear ideas for so many amazing ways to make each wedding and social event special and unique to the desires of the client. It is evident that Rebecca's experience and creativity are so valuable to each of our brides. WinMock is so fortunate to have Rebecca in this role that she loves so much. make sure we deliver every detail that has been part of their dream." That involves great communication and organizational skills to make every detail perfect on their special day. Laura understands the expectations and the demands of a wedding day as well as the opportunity to enjoy that day with all the family and friends assembled. She brings joy, an infectious smile, and boundless energy to WinMock every day. It's just another reason she is so good at what she does. responsibility for what happens at WinMock to execute weddings, meetings, and events with excellence. John’s team is responsible for event setup, staffing, building lasting relationships with trusted vendors, facility and grounds maintenance, and many other important duties that make the clients and guests experience the WinMock excellence standard that we thrive to maintain. 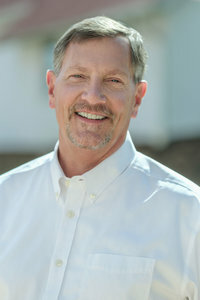 He has been with WinMock before its grand opening and continues to be an integral part of WinMock’s success and reputation for outstanding levels of service to our guests. and a wide range of skills for repair and maintenance. Jim joined the Operations Team as Facilities Manager in April of 2018. With an early career in customer service and decades of full-time ministry, Jim takes great pride in making sure the WinMock property is as welcoming as it is uniquely beautiful. While Jim continues leading event teams and enjoying his interactions with WinMock clients and guests, most of the time you will find Jim working on the next project to preserve the heritage of the WinMock barn for generations to come. and see how she can craft the perfect event for our guests. With fine attention to detail and a caring personality, Federica can relate to our guests in a way that makes them feel welcomed and taken care of. She enjoys the challenge of transforming WinMock into the perfect venue for each event that comes her way. 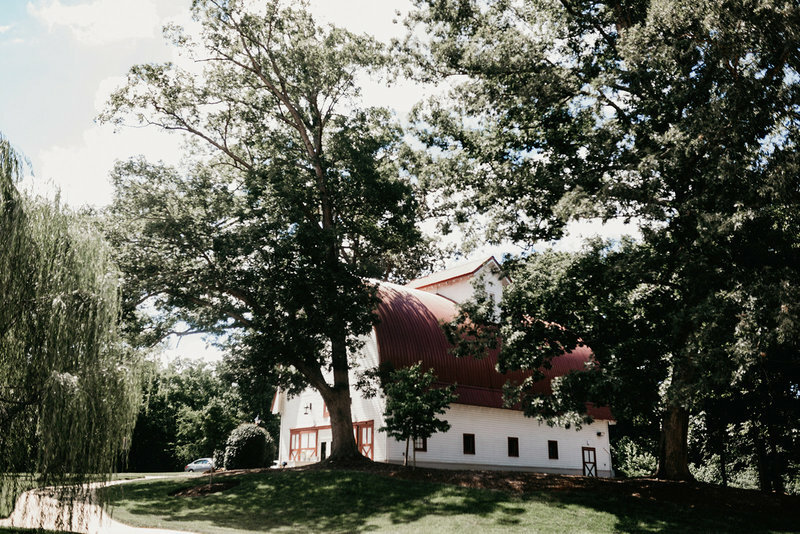 “While WinMock is already beautiful on its own, I love see how we can transform our venue to fit each individual’s needs for their event,” Federica shares. Federica strives for excellence with every wedding and event she helps bring to life. 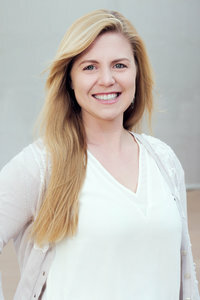 Ericka comes to us with several years of experience in event coordination, food and beverage, and customer service. 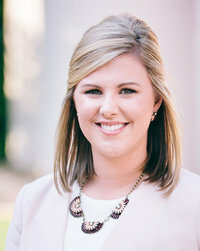 Ericka’s role is to work closely with our corporate and non-profit clients to take their meeting or special event from vision to completion. Her interaction with our clients includes detailed planning, budgeting, and creative assistance, as well as onsite guidance for our Operations Team to make sure every detail is perfect and every promise is kept. She comments, "It is easy to fall in love with WinMock, because of its charm and whimsical, rustic atmosphere. Taking our client out of their normal work environment breeds creativity, teambuilding and community engagement." their meeting or special event from vision to completion. Her interaction with our clients includes detailed planning, budgeting, and creative assistance, as well as onsite guidance for our Operations Team to make sure every detail is perfect and every promise is kept. She comments, "It is easy to fall in love with WinMock, because of its charm and whimsical, rustic atmosphere. Taking our client out of their normal work environment breeds creativity, teambuilding and community engagement." Bill's background is widely known to many in the Winston-Salem area. 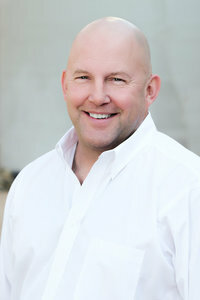 After 26 years of co-owning and co-managing The Golden Apple, Bill's reputation as a professional chef as well as food and beverage expert is highly regarded. That expertise, plus his knowledge of catering and special events, is now perfectly applied to lead WinMock's sales efforts in the corporate and non-profit markets. Bill's creativity and passion for what he does is evident from the start. WinMock is thrilled to have Bill in this role where he can continue this reputation of excellence. professional chef as well as food and beverage expert is highly regarded. That expertise, plus his knowledge of catering and special events, is now perfectly applied to lead WinMock's sales efforts in the corporate and non-profit markets. Bill's creativity and passion for what he does is evident from the start. WinMock is thrilled to have Bill in this role where he can continue this reputation of excellence. 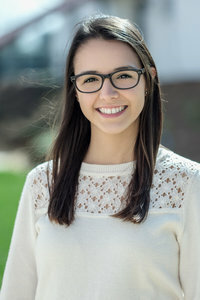 Federica’s position at WinMock allows her to work with a wide range of events. From weddings, baby showers, anniversary parties and everything in-between, she is always excited to jump in and see how she can craft the perfect event for our guests. With fine attention to detail and a caring personality, Federica can relate to our guests in a way that makes them feel welcomed and taken care of. She enjoys the challenge of transforming WinMock into the perfect venue for each event that comes her way. “While WinMock is already beautiful on its own, I love see how we can transform our venue to fit each individual’s needs for their event,” Federica shares. Federica strives for excellence with every wedding and event she helps bring to life. John’s background is rich with experience in organizing and executing the operational needs of a wide-variety of companies. All of this has well-prepared John to take the reins of responsibility for what happens at WinMock to execute weddings, meetings, and events with excellence. John’s team is responsible for event setup, staffing, building lasting relationships with trusted vendors, facility and grounds maintenance, and many other important duties that make the clients and guests experience the WinMock excellence standard that we thrive to maintain. 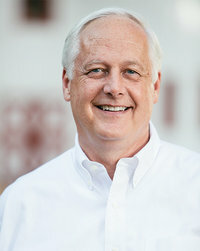 He has been with WinMock before its grand opening and continues to be an integral part of WinMock’s success and reputation for outstanding levels of service to our guests. Jim began his career at WinMock in 2013, as part-time staff, working as event lead and helping with general upkeep. It became quickly evident that Jim had a passionate eye for the WinMock facility and a wide range of skills for repair and maintenance. Jim joined the Operations Team as Facilities Manager in April of 2018. With an early career in customer service and decades of full-time ministry, Jim takes great pride in making sure the WinMock property is as welcoming as it is uniquely beautiful. While Jim continues leading event teams and enjoying his interactions with WinMock clients and guests, most of the time you will find Jim working on the next project to preserve the heritage of the WinMock barn for generations to come. Rebecca's passion for weddings is so evident from the moment a bride-to-be first meets her. 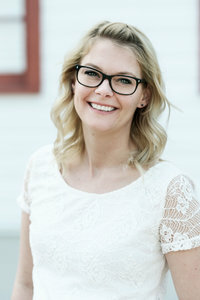 She combines a background in special event planning and her love of weddings to give WinMock an exceptional resource for brides on their special day. Rebecca sees her role as totally different than merely taking reservations for events at WinMock. 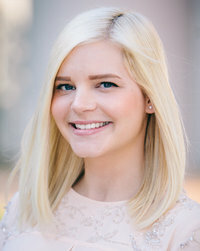 To hear her on a tour is to hear ideas for so many amazing ways to make each wedding and social event special and unique to the desires of the client. It is evident that Rebecca's experience and creativity are so valuable to each of our brides. WinMock is so fortunate to have Rebecca in this role that she loves so much. Laura's role at WinMock is to take the vision of a couple for their wedding day and help bring it to reality. As she comments, "They are sharing a unique, special moment with us, and I want to make sure we deliver every detail that has been part of their dream." That involves great communication and organizational skills to make every detail perfect on their special day. Laura understands the expectations and the demands of a wedding day as well as the opportunity to enjoy that day with all the family and friends assembled. She brings joy, an infectious smile, and boundless energy to WinMock every day. It's just another reason she is so good at what she does. With nearly 30 years in the events industry, Wayne has seen scores of venues, many of them among the most highly regarded in the world. When he first viewed the WinMock property, he recognized an opportunity to create a place that brought together the best of what he had seen in his travels. From this vision, a truly unique and historical venue was born in the American South. Wayne then brought the perfect team on board to make it work. 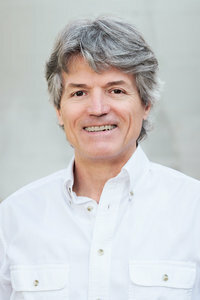 The result is Carolina’s most unique event venue with an experienced event industry veteran at its helm. More than 80 years ago, S. Clay Williams, president of R.J. Reynolds Tobacco Company, fell in love with a patch of gently rolling acreage along the Yadkin River and decided to build a country retreat for himself and his family. From the start, his plan was bolder than creating a space for idling away the weekends. Soon after the land was cleared, the property became a fully functioning dairy farm. Herds of the finest Red Poll cattle meandered the grounds of one of the largest such farms in the state. Mr. Williams called this special haven Win-Mock Farm. The name referenced the property’s location midway between Winston-Salem and Mocksville. At its heart was a collection of buildings that served both leisure and labor. The expansive family home was known as Willsherr Lodge. Scattered nearby was an assortment of finely built farm structures, crowned by the most magnificent barn in all of North Carolina. The barn is enormous—and yet the architect managed to imbue it with surprising grace. The roof suggests the inverted hull of a great ship, or an extended series of Gothic arches, creating a spellbinding atmosphere. Over the years, Win-Mock Farm became less remote, as nearby towns grew and new roads were built. The biggest such thoroughfare was Interstate 40, which the state proposed to run straight through the Win-Mock property. By now the farm was in the hands of the Bahnson family. The family put up some resistance to the highway but was eventually persuaded to allow it to go through, in return for a few concessions from the state. The government agreed to build a tunnel below the freeway, and a bridge over it—for the cows. For years, herds of bellowing cattle would cross high above the speeding traffic (as well as underneath it) on their way to a pasture on the other side. Eventually, Win-Mock Farm’s role as a working dairy farm came to an end. The property languished and the buildings were neglected. It was still a magical place but in order to see that vividly, one would need to peer through the air of resignation hanging over the place and see it for what it once was. There aren’t many people who can do that. But there are a few, and in 2011, one of them found himself strolling the grounds of the faded estate. Wayne Thomas, an entrepreneur in the events industry, had heard about Win-Mock Farms and as he surveyed the scene he was entranced by the slumbering spirit of the place. When he stepped inside the cavernous barn and took in the muted scene—dim light filtering through dusty windows—he was electrified. He knew immediately that he would restore the farm to its former glory and create a remarkable place for people and businesses to congregate. It would retain the peerless craftsmanship of the original structures; but behind the hardwood walls would be installed the most advanced information infrastructure, so that events held here would sacrifice nothing for the extraordinary experience of meeting in such a place. Wayne poured countless hours into bringing Win-Mock Farms out from the past and into the future. He tweaked the name and dubbed the new center WinMock at Kinderton. 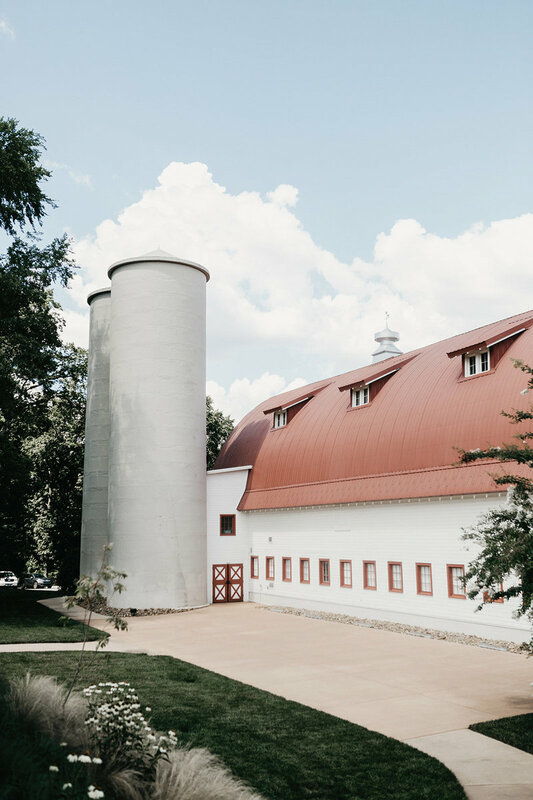 Three historic buildings were fully restored—the iconic dairy barn, the bottling plant and the granary, where threshed wheat had been stored for feed. The renovation of this magnificent place earned it an individual listing on the United States Register of Historic Places. Wayne’s vision has come to fruition.  WinMock at Kinderton hosts business conferences, social events and weddings throughout the year. Attendees know, the minute they arrive, that they will be spending time in a captivating place imbued with history—the polar opposite of the indistinctive (and indistinguishable) events venues that are so common. For all our descriptions, it’s hard to beat the experience of actually being here. We welcome all those looking to host an event at this historical place, and often find ourselves giving unofficial tours daily. WinMock stands as an exceptional testament to the beauty of our region—a place Mr. Williams called, and we’re still happy to call, our home.